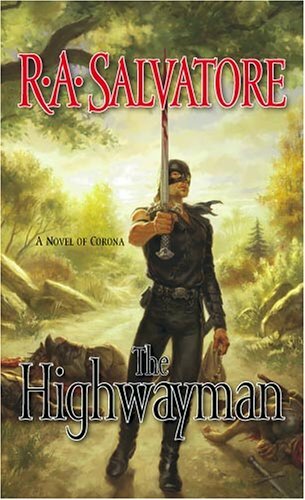 R.A. Salvatore takes his readers back to his signature world of Corona, where he introduces a fascinating new hero destined to become a fantasy legend. Twenty years later, the situation has grown darker and more desperate. The land is devastated by war, and even the rich and powerful live in fear. Only the masked Highwayman travels freely, his sword casting aside Powries and soldiers with equal ease. The people long for a savior, but is the Highwayman on a mission of mercy...or vengeance?